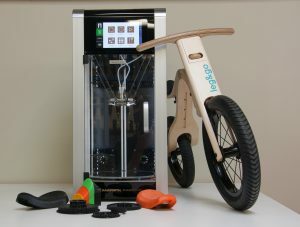 Leg&Go kids’ balance bikes are an example of how 3D Mass Portal printer can significantly accelerate product development process, improve both product’s functionality and design, while saving money at the same time. Thanks to kids’ balance bike Leg&Go, which transforms in 8 different ways, children have the opportunity to develop their coordination skills, overall brain function and various other skills on a new and innovative balance bike. 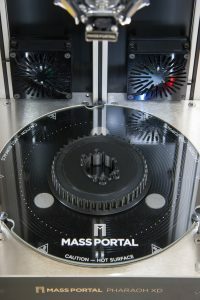 Leg&Go is product without peers, which is why its authors cannot imagine how it could be developed without the help of Mass Portal 3D printers. The idea of Leg&Go was developed by engineer and industrial designer Egons Garklavs – wishing to provide the best for his children, naturally, one of the basic guidelines is quality. Less than a year passed between the birth of the idea and the first 1000 bikes having been delivered to happy riders after a successful Kickstarter campaign. 3D printing was the only way to successfully create a product, in which the child’s comfort, safety and health are priorities, at such a pace. The development of Leg&Go was a greater challenge to its authors than they initially thought. 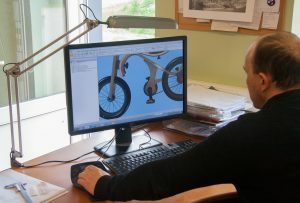 To create a product that cannot be compared to other, already existing bikes of such type, purchasing ready-made parts from bicycle component manufacturers was not an option, both due to technological and design reasons. In order to create something new and unique, one cannot use the existing, so all parts, except the tires, had to be created individually by the authors themselves. Initially Mass Portal printer was used to prototype many different versions of the bike’s seat form various thermoplastic materials. Designing the seat was a very difficult task, as Leg&Go can transform from a rocking elephant for an eight month old child, up to a bicycle for a six-year-old. With the constant improvement of the bike and search for the best and safest solutions for the child’s health, without losing the desired design, gears, fastenings and toothed belt pulleys are also being prototyped. The latest achievement is prototyped pedals, which were printed in various versions, until a compromise between functionality, technical possibilities and the intended design was reached. The uniqueness of Leg&Go is in its transformability – it is 8-bikes-in-one with several modifications, suitable for a child over several years, as well as in balance of quality, durability and price. It is made from carefully developed, most natural, shock absorbing parts, considering every detail and making it especially light, which cannot be achieved with parts made by bicycle manufacturers. Leg&Go authors are constantly working on improvements to existing models and their development. It is a constant search for the best solution, in which Mass Portal printers are an integral part. Not only are there plans to release improved models in the near future, but a Snowbike model is also being developed – an alternative to the familiar sled, allowing Leg&Go to be used throughout the year.